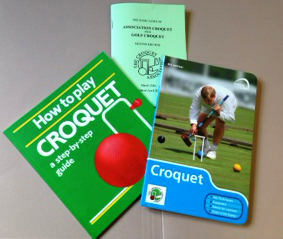 How to Play Croquet is a step-by step guide ideal for the complete beginner. Know the Game outlines the equipment and court as well as the basic strokes and an introduction to tactics for both Association and Golf Croquet. The Basic Laws provides all the information on the laws of both Association and Golf Croquet needed to enjoy the games to tournament standard.